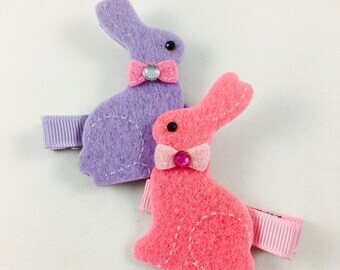 White, Lavender or Yellow Easter Bunny Headband or Hair Clip! All are made from a rosette material in the shape of a bunny! Great headband for Easter! Perfect for all ages infant to adult. This listing is for the White, Yellow or Lavender Easter Bunny Shabby Headband or Hair Clip. 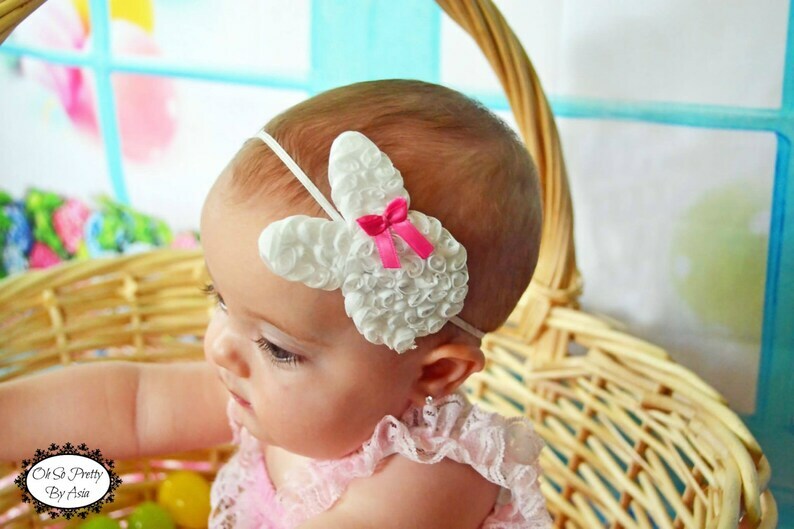 A rosette bunny flower is attached to a white elastic headband or a partially lined alligator clip. In the top right a tiny bow has been added to give this headband/hair clip a touch of color! Felt backing has been added to the back of the headband to give extra stability. All ribbon ends have been heat sealed to prevent fraying. For reference purposes baby model is 6 months old. Bunny measures approximately 3.25 X 2.5" in size.